A couple of happy dances today! 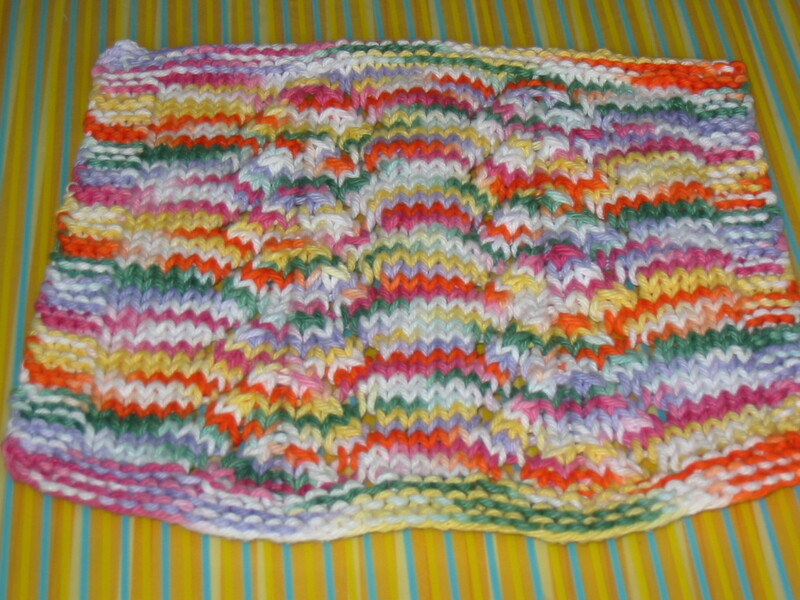 I finished my Tidal Wave socks last night and today I knit a cute dishcloth which I am calling Fiesta Stripes. I love these socks. I wore them today and they are so comfortable. 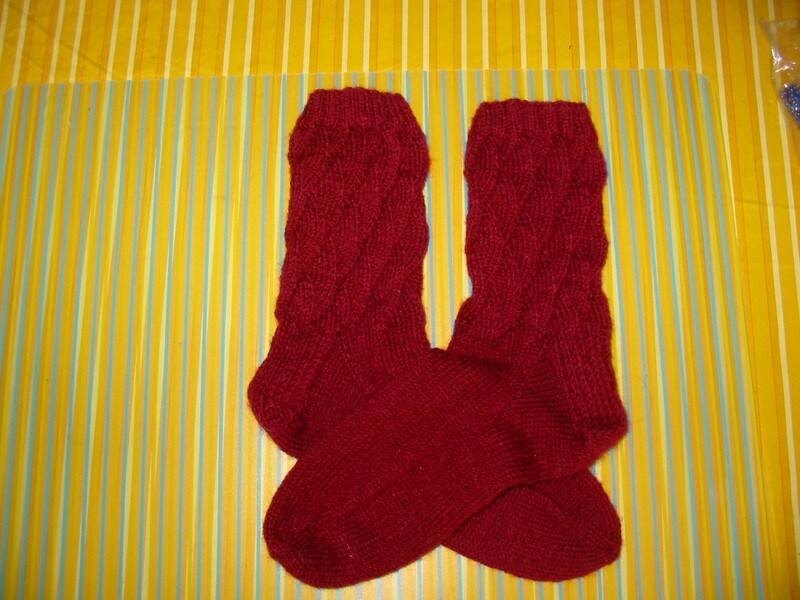 My next sock project will be for my daughter Rachel. She needs more socks, so I better get going! Such a fast cloth to knit up. It took me only a couple hours. I love all the colors!!! Another thing I finished day before yesterday was a swatch for the Secret of the Stole iii Yahoo group. The KAL actually starts Aug 15th but the swatch pattern was posted last week. 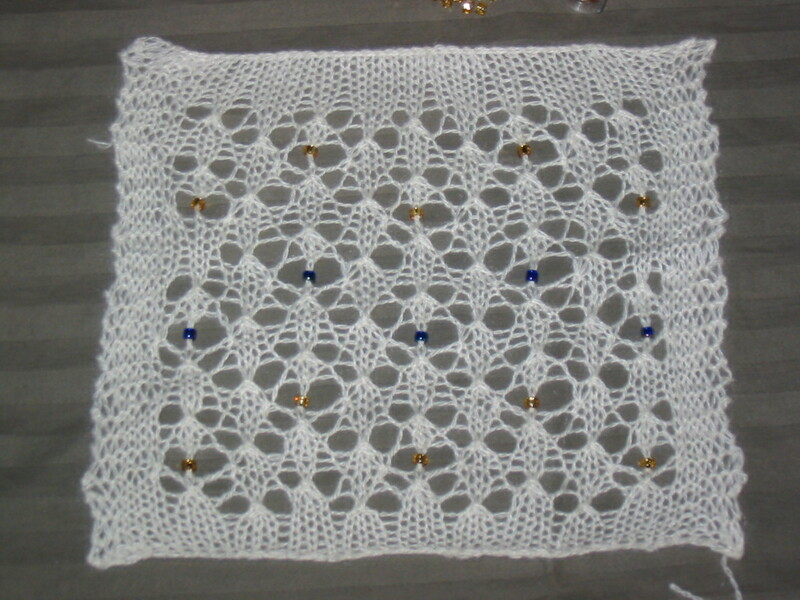 I am using Jagerspun Zephyr in White on size 3 needles and gold beads. The swatch shows blue beads as well but I think I will use the gold beads in this project. Other stitching done today was all practical. Sewing hems in pants, putting patches on Boy Scout and Girl Scout shirts. I can’t seem to go a day without needles of some sort in my hands. But I’m not complaining!